This color image is the highest resolution topography map to date of the moon's south pole. PASADENA, Calif. - A new lunar topography map with the highest resolution of the moon's rugged south polar region provides new information on some of our natural satellite's darkest inhabitants - permanently shadowed craters. The map was created by scientists at NASA's Jet Propulsion Laboratory, Pasadena, Calif., who collected the data using the Deep Space Network's Goldstone Solar System Radar located in California's Mojave Desert. The map will help Lunar Crater Observation and Sensing Satellite (LCROSS) mission planners as they target for an encounter with a permanently dark crater near the lunar South Pole. "Since the beginning of time, these lunar craters have been invisible to humanity," said Barbara Wilson, a scientist at NASA's Jet Propulsion Laboratory in Pasadena, Calif., and manager of the study. 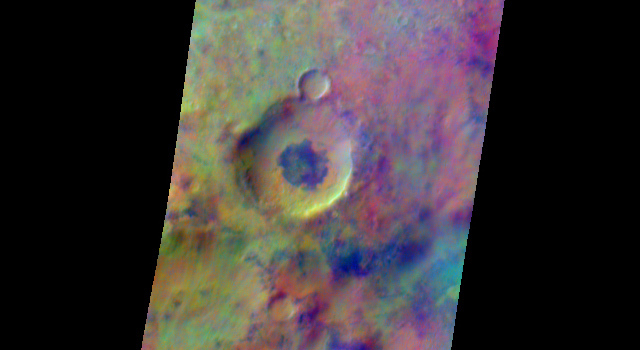 "Now we can see detailed topography inside these craters down to 40 meters [132 feet] per pixel, with height accuracy of better than 5 meters [16 feet]." The terrain map of the moon's south pole is online at: http://www.nasa.gov/topics/moonmars/features/moon-20090618.html . Scientists targeted the moon's south polar region using Goldstone's 70-meter (230-foot) radar dish. The antenna, three-quarters the size of a football field, sent a 500-kilowatt-strong, 90-minute-long radar stream 373,046 kilometers (231,800 miles) to the moon. Signals were reflected back from the rough-hewn lunar terrain and detected by two of Goldstone's 34-meter (112-foot) antennas on Earth. The roundtrip time, from the antenna to the moon and back, was about two-and-a-half seconds. 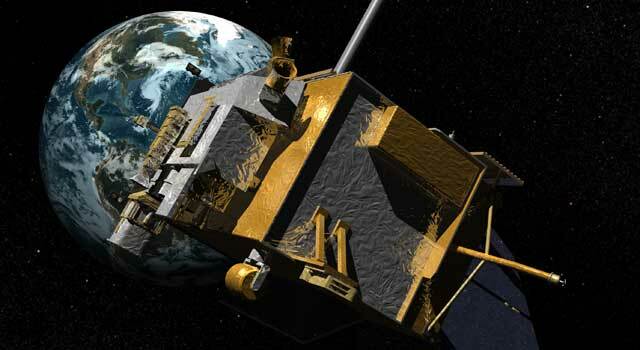 The scientists compared their data with laser altimeter data recently released by the Japanese Aerospace Exploration Agency's Kaguya mission to position and orient the radar images and maps. The new map provides contiguous topographic detail over a region approximately 500 kilometers (311 miles) by 400 kilometers (249 miles). Funding for the program was provided by NASA's Exploration Systems Mission Directorate. JPL manages the Goldstone Solar System Radar and the Deep Space Network for NASA. JPL is managed for NASA by the California Institute of Technology in Pasadena. More information about the Goldstone Solar System Radar and Deep Space Network is at http://deepspace.jpl.nasa.gov/dsn . More information about NASA's exploration program to return humans to the moon is at http://www.nasa.gov/exploration .